Busy offices and schools can be quite distracting for a hard-working individual. 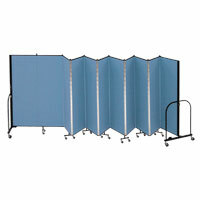 Room Dividers create an Oasis in your office or gymnasium by cutting off outside noise and distractions. 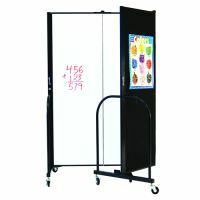 US Markerboard offers several sized Folding Room Dividers on Wheels. 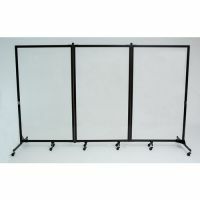 Wall-Mounted Room Dividers fold out as needed and don�t need to be stored anywhere once they�re retracted to the wall. Folding Free Standing Room Dividers wheel away into a back room as needed. Easily split up classes into different activities, create Privacy Screens, and rejoin the group later when you�ve finished your work! 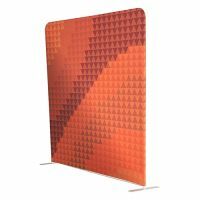 Room Dividers with Bulletin Board Surfaces double as Display Panels for science fairs and other trade shows. 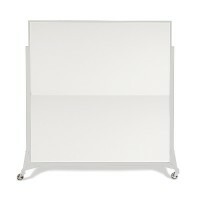 The Room Divider with a Magnetic Dry Erase Whiteboard Surface makes it easy to leave messages or brainstorm in the office. 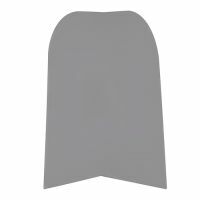 ScotchGuard Room Dividers will make it easy to clean up any stains that children may leave while playing near the Partitions! 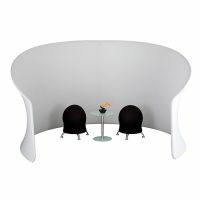 Simply go through the user friendly buying guide for Room Dividers to find the match for you!